The Flash Bus. If you haven't heard, is a monstrosity of a vehicle cruising cross country visiting 29 different cities. Plastered on the side of the bus is the caricatures of the two stars of the tour, David " the Strobist" Hobby and Joe "Numnuts" McNally. They started their journey in early March have now completed about half of their mission. What is their mission? To teach the country, on city at a time, how to light, off camera style. IMHO, an awesome way to market their already enormous success. Bravo. So what's the catch? As these two geniuses of light enlighten (couldn't help myself) the nations photographers about off camera lighting, they do so with ideals that are totally conflicting. I'll explain. David is CEO, CFO, President and King of his ever popular website, Strobist. He has educated the mass photography population about how to light off camera, on a budget. David "the Strobist" Hobby, in my opinion, won by TKO when he lit at the gigantic and awesome CERN property. This place is responsible for building the Large Hadron Collider, the first machine in human civilization for recreating the "Big Bang." He has had many other awesome feats but that one in particular, due to the immense levels of technology and hardware and degree of lighting difficulty, really stuck with me and turned me into an instant Strobist follower. By the way, if anyone is wondering if and when the world will come to an end due to the LHC's dangerous actions, check [this] out. David Hobby has a particular lighting style, opposing that of his opponent, Joe McNally. David prefers to light manually. I too am a manual lighter. What does this mean, manual lighting? I'll give you a for instance. For instance, lets say I was doing a portraiture of you. First, I would gather some exposure readings, dial them down into the shadows and build my light from there. Using off camera flash allows you to manually or automatically control the power and beam of light that will be emitted from the strobe at the time of the shutter release. Once I have the shadowed exposure, I would then dial in my strobes accordingly. After some practice, this will become second nature and take up minimal amounts of time. Any further tweaking can be done in camera to dial it in. Maybe a shutter speed or an aperture tweak to get the exposure that is desired. Hobby is the master of manual lighting and I have learned tremendous amounts of information since reading his writings. Joe McNally, a blogger as well, is better known for his shoots for National Geographic, Time, and other reputable publications. Joe "Numnuts" McNally made his impression stick in my brain a few years back when he won, by unanimous decision, the Empire State Building photo shoot. Boy, what balls! I couldn't word that any other way. This guy, at night, climbed to the very top of that behemoth of a building. I don't mean the spot where the tourists take family snapshots, I mean the very top of the antenna, to shoot the guy changing the light bulb that all of NYC could see. Compared to David "the Strobist" Hobby, McNally's lighting style is quite different. He uses what is called TTL or Through the Lens metering. This is a quasi automatic way to find the proper lighting balance for a particular subject. Think of your lens and how it auto focuses a subject. TTL metering is similar in many ways. When the camera sees what you are about to shoot, it evaluates the scene and sends information to the strobes via radio triggers, IR signals or TTL cord and the strobes automatically adjust their power levels accordingly to create an ideal exposure. This is a fairly new technology and has become very dependable over the years. IMO, I think that the more strobes you use, the more difficult it may be for the camera's brain to jive with the photographer's brain and his or her creative thinking process. In other words, will the TTL give me what I had imagined before shooting? On the other hand, using a single strobe, I think that it will give you a very "safe" exposure, every time. Joe "Numnuts" McNally has become the master of TTL metering, teaching the world that it is possible to light TTL and yield spectacular results. The tour has already hit about half of the cities on The Flash Bus schedule. In a couple of days, it will be in my city Philadelphia. I noticed that there are two available seats at this location so grab 'em while you can. They sell out fast. 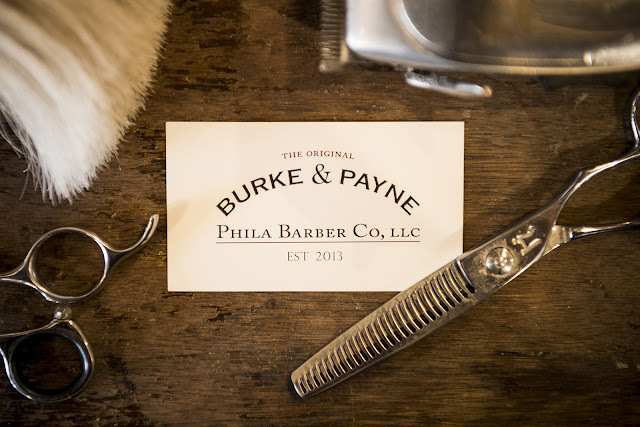 Philly was sold out but there where two cancellations which opened up this morning. Anyway, what has transpired thus far? How haven't either one smashed the other's strobes? As the saying goes, "there's more than one way to skin a cat." Photography is no different. Another for instance. For instance, last week I had to shoot David Wess. Although, I shot the whole day in manual, I did alter my lighting scenarios. I wanted to get multiple lighting scenarios and find the one I thought would work best for the subject. Same goes for TTL and manual lighting, find the one that suits you best and roll with it. The tour is giving real time, hands on lessons of how to use each technique. So when all of the dust settles and the bus is out of gas, as well as the two photographers, after conquering 29 cities nationwide, who will walk away with the belt held high over their head? You may be thinking that there could be no concrete way to decide who will be the champ. It is a team effort. Strobist and Numnuts are working as one to educate the masses. Of course, each is having their own, solo, per say but, yes my friends, one will walk away victorious. How? 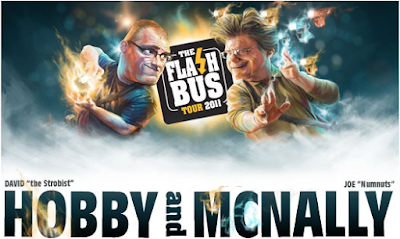 If you go to the Flash Bus website, you can find plenty of information about the tour. You will also notice that there is a registration page. If anyone wants to buy a ticket to the show, it costs $99.95 (come on guys, that trick doesn't work anymore, just say $100!). Now if you want to go to the show and buy either photographer's latest DVD collection it will cost $239.95. Hobby's newest DVDs are called "Lighting in Layers" and McNally's named "The Language of Light." If you want to go out with a bang and go for both collections you can pay an excellent price of $349.95. The dust will settle and the bus will park and in the end, who will have sold the most DVDs? I've been reading both of these guys for quite some time and I could bet the farm that they will announce who has sold more. They have no shame, which is why I like them, they are just like me. Good luck gentlemen, keep it fair and keep it clean.